It seemed as if I was floating along the Ministik trails today. Of course I wasn’t. Gravity was in full force. Work started on this church in the Peno district in 1909. Local logs were cut and hauled to the site and the church built with volunteer labour. After reading about the history of this church, the phrase that comes to mind is, “It’s never easy, is it?”. 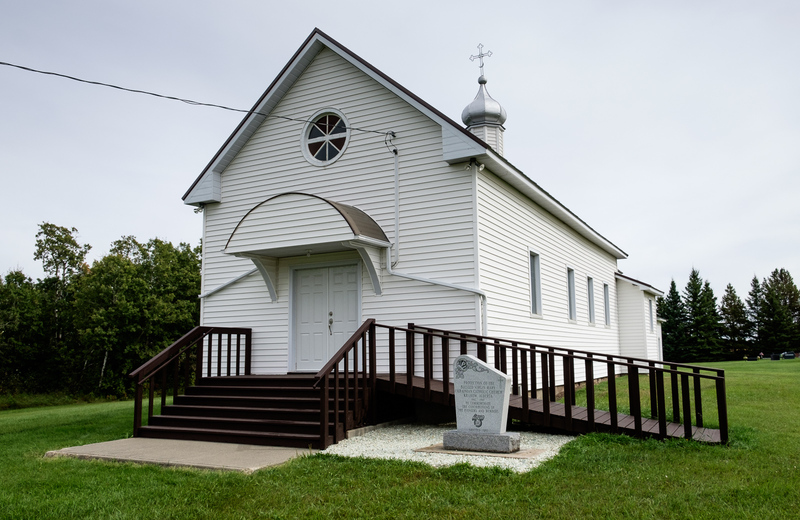 This church was built in 1907 and is named “Farus” after the original owner of the land on which it was built.